First-person shooters are adrenaline. This genre of games offers dynamic action and makes us real gamers. There are many FPS applications to play in offline mode today. That’s why we took our top 15 favorite first-person shooters on Android from GooglePlay. Special Forces Group 2 is a great gift for all fans of classic shooters, where you need to destroy the enemy without pity and regret. In general, the game is really classic. Everything is quite realistic and meets the basic requirements, so fans of the genre won’t regret if they spend a certain amount of their time on the game. The game provides the traditional confrontation between the squad of special forces, one of the members of which is your character, and the whole gang of terrorists. Special Forces Group 2 has five game modes. Each team has five game characters who can use three shotguns, nine pistols, five sniper rifles, three machine guns, twelve rifles, and two grenades. An impressive arsenal, right? All battles take place in a variety of locations, such as the desert, various cities, and simply abandoned objects. Try to navigate the terrain to find an excellent position, to attack the enemies when they don’t expect it. You can also find shelters in which there will be an opportunity to catch your breath, or arrange an ambush. Special Forces Group 2 is easy to manage, and concerning the graphics is not inferior to PC shooters of past generations. If you are a connoisseur of the genre – it’s time to take up arms! This will be your most serious and great mission. When you download Yalghaar shooter on Android be ready to take part in the cool operation. The fate of humanity depends on it. Try to free all the hostages who were captured by the terrorists. They want to blow up the whole world, and you have to stop it. Run through a variety of locations. Fight with bandits and disarm as many mines and bombs as possible. Join the battle with suicide bombers who are ready to do anything for their mission. But you aren’t a weak one, and you will also do everything possible to save the world and people. Gameplay will take place in different conditions that meet the modern world. You will feel the atmosphere of the game with depth. Use a powerful arsenal of weapons and kill all the terrorists. In your missions, use the most modern weapons, with which you can achieve success and reach the final stage. Get famous and become a hero, famous all over the world. The game has an interesting storyline, which is breathtaking. Join the battle against the soldiers of the group of terrorists. You will find beautiful graphics and lively surroundings. Choose a shotgun, pistols or a machine gun to participate in combat operations. Use a tactical map to find landing points for terrorists. Win missions and for this, you will be awarded medals. Share vivid impressions with friends. Improve your sniper rifle to improve efficiency. N.O.V.A. Legacy is a futuristic first-person shooter developed by Gameloft. Kal Wardin is the main hero, who previously left the ranks of the famous squad. However, he realizes that now is the time when he needs to forget about the past and re-choose his suit to protect the Office of the Colony from its enemies. On the side of Kal, there will be Yelena, which is an artificial intelligence. The main character will not only defeat the alien invaders but also understand the reasons for their unexpected attack. 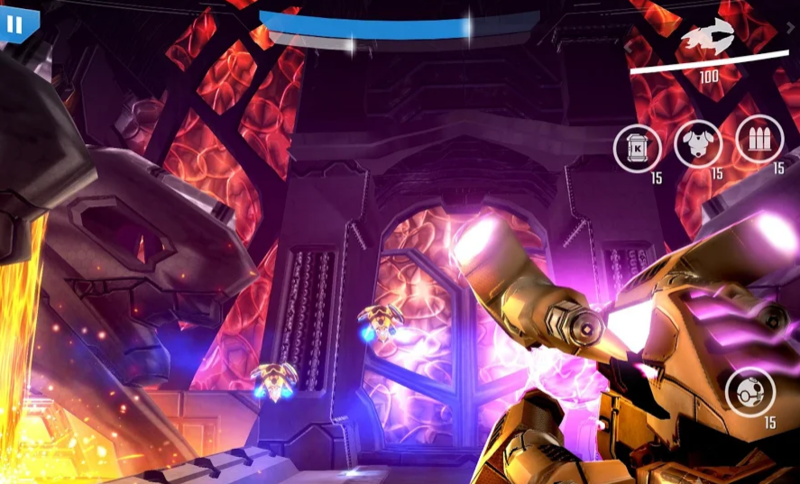 Hurricane gameplay, which is peculiar to a series of games developed by Gameloft. The gameplay format is identical to the Modern Combat series. The ability to personally create, as well as improve, tons of weapons that will help instantly defeat the enemies. The presence of several game modes. Ability to play with other players on the network. You have the unique opportunity to plunge into such a game world on your mobile device, which is not inferior to the console game world. Despite the very small size of the application by modern standards, the game can boast a nice three-dimensional graphics and high-quality sound. Dead Trigger – an incredible action that takes you into a world that is captured by a zombie. And this game really has something to love: high-quality performance, beautiful HD graphics, well-developed sound, and great gameplay – all this will allow you to enjoy it for more than one hour. The plot of the game tells about the dark era of the decline of human civilization: an unknown virus has come to Earth, turning people into the bloodthirsty living dead. The virus spread almost instantly, so only small groups of people survived and you became one of the lucky ones. But it’s too early to rejoice – now you need to survive under the constant onslaught of zombies and save the planet from this horror. Want to experience a sense of adrenaline? Then install this exciting game and go to exterminate the zombies. The gameplay is incredibly dynamic, generously filled with bright effects and sound. You expect a lot of explosions, blood, and horror in the game Dead Trigger on Android. Start exterminating the living dead right now. Buy a variety of weapons and shoot zombies. Sometimes there are such games that you want to play for hours due to their magnificent performance, interesting plot or freaking graphics. Download Dead Effect 2 on Android, you will find a great continuation of the sci-fi shooter made in the best tradition of this genre! This game is really very rich in quality content and has a quite interesting and thoughtful plot. You and your hero find yourself on a spaceship, but there is one moment you will be in an artificial dream. While you were sleeping, unthinkable experiences happened with people turning them into real monstrous monsters. But once everything comes to an end, one of the employees decided to change the current situation. Run from the ship, from this terrible place you will be in the company of this girl. You’ll have to choose from the best representatives of the fighters. All of them have a unique talent, which can be selected only once when creating a character. Think carefully which one is closer to you. Download Dead Effect 2 on Android and feel the full power of your character and expand its capabilities in a deadly battle! The fight will be really creepy because here all the space is filled with monsters of different types from zombies and mutants to smart and cunning robots. In the game, you have to complete missions of varying complexity for which good experience and other rewards will be given, but weapons or other useful resources can also fall from a regular monster. Of course, your skills, equip, ent and weapons can be improved for special points. If you are a fan of science fiction, then you definitely need to download Dead Effect 2. Here you will find decent colorful graphics, bright surrounding world, and impressive character animation. The game Gangstar Vegas is a real action on Android, the action of which takes place in Vegas, and the main character is still a petty criminal. You have to plunge into the world of illegal transactions and try to achieve the highest position among the rest. Gangstar Vegas game boasts its truly exciting plot and high-quality graphic interface. You have to choose a character, each of which has his own unique skills and abilities. A huge game world, more than 80 tasks of varying complexity. Visit the casino and replenish your gold reserves. Or lead the leaderboard, taking part in incredible and sometimes dangerous battles. At your disposal, there is a large fleet filled with all sorts of equipment. You will get access to a luxurious arsenal of all kinds of weapons. Improve your skills, improve equipment, and you will become indestructible in cruel confrontations. Ready to become the main character and feel all the fury of the mafia on your shoulders? Then feel free to download Gangstar Vegas to your gadget and confidently conquer Vegas! ROBOTS – is a hurricane action for smartphones and tablets running Android, in which you have to shoot at the evil and distraught robots. 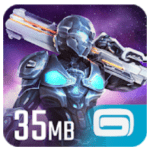 The game is an exciting shooter for mobile phones and tablets, in which you have to fight against a huge crowd of bloodthirsty robots. In the game, you will need to escape from various types of robots, but at the same time you have the ability to shoot at them, as well as jump and run from them. Especially you will have to run a lot, otherwise, you will die and you will have to start all over again since the robots are pretty fast and strong. The game has the ability to choose a weapon that you can carry with you, by the way, you can take a few weapons. As you progress through the levels you will have the opportunity to pump your weapon to be on an equal against robots. The graphics in the game is quite good. A lot of different robots that are unique in their own way. The game developers did their best and created a unique product that guarantees an adrenaline rush. The gameplay of the application is stunning and unpredictable, giving unlimited scope for imagination and developing your own methods of destroying hordes of enemies. Each fighter in the game has its own specific ability that will help you when playing. For example, there is a doctor who will treat everyone during the passage of the level. Or, for example, there is a hunter who ruthlessly defeats his enemies. You will have to play using various tactical advantages. In this game, you will have to think a lot about a strategy, since it’s up to the passing of the level. The game has excellent console graphics with a large number of special effects. An interesting story that tells about the invasion of aliens. Kill Shot Bravo – this is one of the most popular shooters, which was designed specifically for mobile devices. It’s time to take up arms and show all that you can do! You will have to arm yourself with deadly weapons, machine guns, as well as super new developments in the field of military technology. With all this, you will need to perform secret missions and tasks! It’s time to show all that you can do! You will play the role of an experienced fighter who has passed the necessary training. You will perform secret missions in different parts of our planet. It will be necessary to do everything in order to destroy malicious enemies who seek to break peace on the whole Earth. You will visit both the jungle and the Mediterranean islands. The whole world will need your help. To win, you will need to use different fighting techniques and different tactics. You can completely change the course of the battle. No one can do it better than you! You will need to demonstrate your strength, courage, and steadfastness even in the most dangerous situations. You’ll have to fight with different enemies. They will have different strengths and possess unique skills. We need to find an individual approach to everyone and make a fatal injury. Good graphics, which is also well optimized for all devices. An avatar can be customized based on personal preference. Only choose which outfit your character will be equipped with! Each victory will bring new sensations and emotions! Legendary Agent 47 temporarily moved to Montenegro – to perform important tasks and apply the skill of shooting at long distances, without changing the dislocation point. The list of targets for subsequent destruction changes every time, the complexity and the number of guards increase. In general, in the best traditions of the Hitman series, when one killer alone is able to turn the whole world. The purpose of the story – to perform a maximum of tasks, hiding from the attention of opponents. Hitman Sniper is a spectacular action movie that starts with great training, voiced by professional actors and described in retail: control, target selection and assignment, collecting weapons and changing rifles. Before making an aiming shot, you should scout the territory – study the behavior of the guards, try to hide in the shadows, avoiding rash shooting. For the most accurate shot, hold your breath, thereby slowing down the course of time – it saves in difficult situations! Completed several missions? Compare your results with your friends! All targets suitable for destruction, one way or another, belong to a criminal syndicate. Explore the location, find the enemy and shoot, completing the mission and closing the mandatory task. Download Hitman Sniper for Android and try out the profession of an assassin right now! Hitman Sniper is one of the best mobile shooting galleries for smartphones and tablets running Android, which is based on the eponymous popular game. The future isn’t as bright as many thought. Achievements of technical progress weren’t used for the benefit of mankind. On the contrary, a certain group has usurped power and keeps all residents in a panic. The grouping is very strong and those who work for it will not stop at anything. Everyone understands this, and no one dares to resist. Only a few brave and not indifferent, including you, are united in small militias. It’s necessary to expand the militia, find new people, create new squads. It’s necessary to protect the generator so that it doesn’t fall into the hands of the enemy because this is your most powerful weapon that can hit the enemy with powerful electrical discharges. The game Overkill 3 is a continuation of the already beloved first two parts of the shooter. It has good graphics and easy operation. A whole arsenal of various powerful weapons is provided for the player’s choice: shotguns, assault rifles, sniper rifles, and machine guns, and a variety of scenes and levels with a constantly changing landscape makes the passing of the game the most exciting. LONEWOLF game is for adults only. It has a difficult and very tense plot, filled with moral conflicts and difficult situations. The course of events of the game will be able to truly interest and intrigue even the most experienced player who has already seen a lot. Are you sure that you can cope with all this? Then install the game faster. There is simply no turning back! Every moment the plot will gain new momentum! The game is made in the neo-noir genre. It will help you dive into the exciting world of snipers. Right now you can try yourself as a mysterious killer. What are his motives? No one knows the answer to this question. Once you pass all the necessary tests, you will become a full member of a large criminal organization. There is another Zombie apocalypse. You should download Into the Dead 2 on Android and go to save humanity from the walking dead. Save your family, friends, and people in general. To do this, use a unique and powerful weapon. A huge arsenal of various types of weapons will be available. Sometimes you have to use what comes to hand to repel the attack. You must survive in this dangerous adventure. Do whatever you can. Try to last as long as possible in this test of survival, and the world will thank you. The hero has to go through a very long and dynamic plot. In total, the hero needs to go through 7 very difficult chapters. They include 60 missions and tasks. This is quite enough for a huge amount of time. The player will be able to use various weapons. Find the most convenient place for shooting. It may be the roof of a car or a building. If you suddenly run out of ammunition, you can safely go with a knife on the villains. The player will visit a variety of locations. It may even be a military base or an ordinary village. With each level, Zombies will become more experienced and stronger, it will be very difficult to kill them, so you will have to use your mind and wits. Develop your own unique tactics of war. 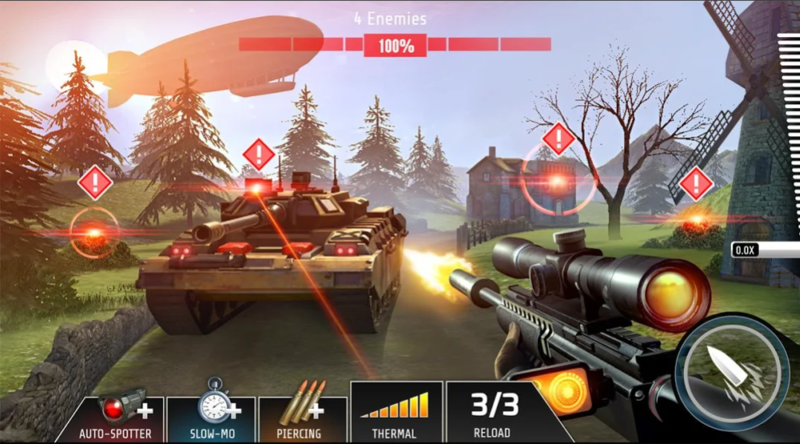 Bullet Force is a new first-person shooter for Android with a huge variety of weapons and incredible graphics. The gameplay is pretty simple but dynamic. You are completely immersed in the atmosphere of battle and don’t even notice how you play for hours. The game has many unique elements that make a unique charm. There are four modes in the game. To win in each you need to adhere to your individual tactics. Control of the game is convenient, specially designed for Android devices. Download the offline game Bullet Force and plunge into the world of the most severe wars. Here everyone can be the best. Develop unique tactics and defeat your enemies. 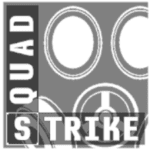 Amazing and popular action game Squad Strike 3. Many of us are fans of games of such type to date, and the appearance of such a game on mobile platforms should cause a lot of admiration. You can easily learn to manage and feel all this atmosphere of firefights in various territories and with a mass of different arsenals of weapons. The player who decides to download Squad Strike 3 will take part in online battles. In some cases, you can take part in autonomous fights among bots that are distinguished by high intellectual intelligence. With them, fights will be even harder than with online fighters. More than a dozen different bots-shooters will be available to participate in the shootout. Each of them has its own arsenal and possibilities for conducting fights. The player will be able to use about ten types of weapons. Among them are pistols, machine guns, and sniper rifles. You can also use grenades, throwing them into rivals. Developers are constantly trying to improve the gameplay and make it even more desirable and effective.